We invite you to discover the joy of our bespoke suiting and shirting - now recognized as Best of Chicago. We are dedicated to crafting your dream garment. The ESQ garment is the pinnacle of men's tailoring as an art. It represents the countless hours and the tireless men and women whom have achieved the highest level of sartorial excellence. 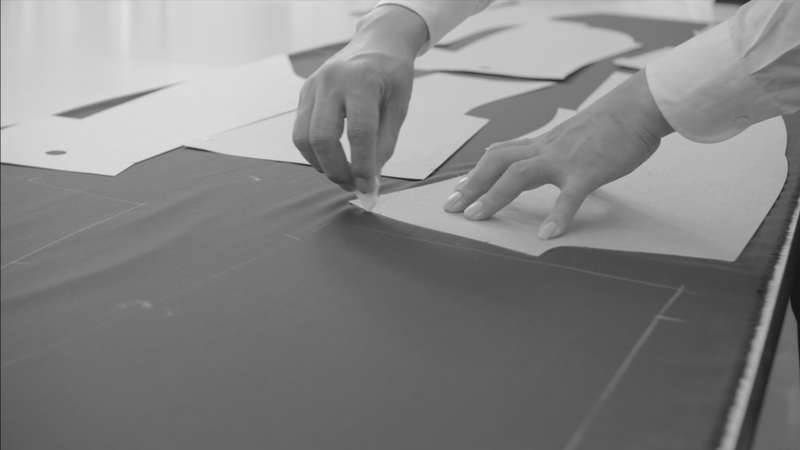 From your initial fitting and pattern making, to the final button sewn and ironing process, the ESQ suit renders itself an unmatched dream garment. Our unique process requires over 45 hours of workmanship and each suit lives and breathes thanks to more than 6,000 meticulously hidden stitches made by hand. The ESQ garment is the analog in an increasing digital world, an art form uncompromising to be the best garment you'll ever own. Not all suits are created equal. I'm the first person to admit I don't like the word "custom" suit because it invokes a wide variety of different suiting, from entry level measure-yourself online retailers to full handmade bespoke suiting (which is what we do). 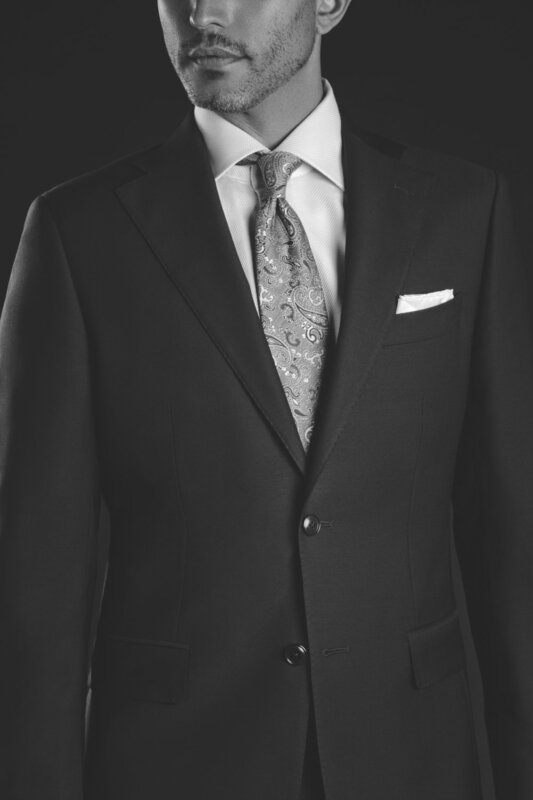 The term "custom suit" certainly can dilute the prestigiousness of a handmade bespoke suit. What ESQ stands for, is quite literally defined as a commoner considered to have gained the social status of a gentleman. What we create in turn, is the ultimate gentleman's custom suit - every detail sewn by hand; fabrics sourced from the finest British and Italian mills; patterns designed and cut for each individual, and all options on deck. It's been an interesting journey since starting ESQ, one that has taken my travels all over the world not just to seek out the best fabrics and materials, but also to learn as much as I could about tailoring as an art. I continue to learn daily, and there's much more to learn. Through all the press we have received with, from GQ to ESPN, my simple goal is not to dress the rich and famous, but to make you, yes you, perfectly happy in your perfect suit. As anyone who owns an ESQ suit will attest, it's more than just any suit, it's the best damn piece of garment you can put on your body. Simply put, ESQ is here to redefine the custom suit. Ge Wang holds a J.D. from DePaul University and B.A. from the University of Notre Dame. 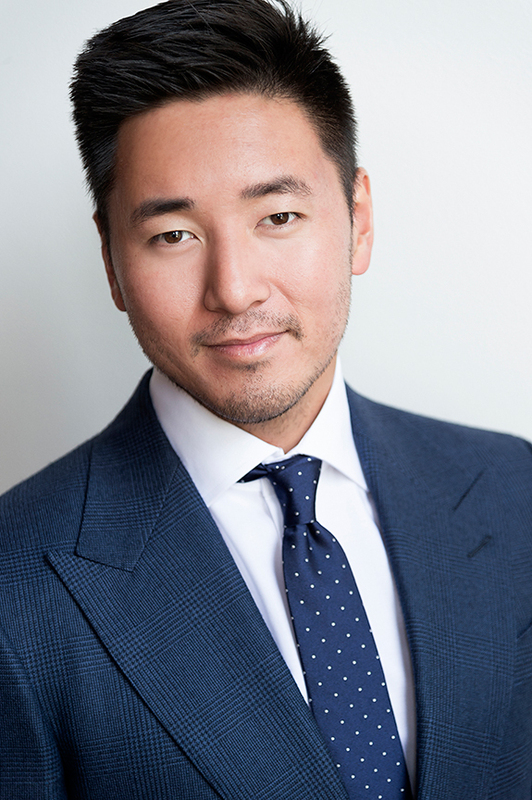 During his time as an attorney, Ge tried and failed to find someone capable of making his perfect suit, thus leading to the founding of ESQ in 2011. Since then, Ge has traversed the globe in seeking the best fabric and design inspirations to create exceptional garments. While Ge designs clothing for over 250 celebrities and professional athletes, his true passion is to make every client feel like a star.